In 1988, John S. Michael (who is me) published his undergraduate thesis in Current Anthropology. This paper described the results of my measurement of 201 human skulls collected by Dr. Samuel George Morton in the 1840s. All available records indicate that I was the only person in the 20th century who measured the capacity of the Morton skulls, which may sound strange but is actually true. My findings were that Morton’s measuring techniques were sound, which had been disputed by the well-known Harvard professor Stephen Jay Gould. Gould never saw the skulls, though many authors assumed he did. My paper also concluded that the way in which Morton classified humans into races was arbitrary, a fact that has been overlooked by many people involved in the Morton-Gould controversy. Thus Morton’s statistical analysis (and Gould’s re-analysis) were meaningless. Jason Lewis, et al. 2011 Re-measurement of the Morton Collection. Click here. 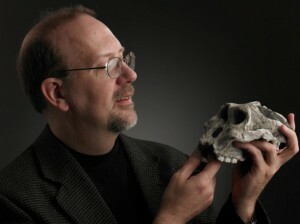 David DeGusta and Jason Lewis, “Gould’s skulls: Is bias inevitable in science?” from New Scientist Magazine available. Click here. To read the New York Times Article, June 2011, click here. To read the New York Times Editorial, June 2011, click here. To read Discover Magazine’s article, January 2012, click here. Jonathan Marks’ June 2011 blog (click here) was pretty scathing but raised some good points. Nature Magazine’s, June 2011, editorial (click here) editorial accepted Lewis’ findings, but suggested that he and his co-authors had an ax to grind. John Horgan’s Scientific American June 2011 blog, (click here) also accepted Lewis’ findings but defended Gould’s overall aims. But then Jerry Coyne’s June 2011 blog (click here) found fault with Horgan’s evaluation… and so on it went. I won’t defend everything Lewis wrote, but at least he had the guts to take on a controversial subject: race. Everyone says we need to talk about race in this nation (and we do), but when it comes to starting the conversation, everyone silently waits for someone else to do it. Lewis deserves credit for refusing to pass the buck. He may have flubbed some of his interpretation of post-modern philosophy, but he did not duck or candy-coat what is a genuinely complex issue. In the video below, Dr. Janet Monge of Penn discusses the Morton Collection. She knows more about the actual skulls in the collection than anyone else. Her decades-long work in maintaining the Morton collection does not get the credit it deserves. Also, I think you omit some very germane facts, including Gould’s belief that Morton’s “measures by shot were objective, accurate, and repeatable,” thereby relegating Lewis’ re-measurements completely irrelevant to Gould’s analysis of the data tables. Second, Gould never claimed he examined the skulls. If anyone made this assumption surely Gould could not be faulted for this. He specifically claims he “spent several weeks reanalyzing Morton’s data,” not the skulls. Was Gould critiquing Morton as a scientist, or as philosopher and historian of science? I think the latter. Race does not have to be “real” for you to test the hypothesis that racist beliefs affected the way Morton had ranked and classified the mental worth of human groups, at least as he understood them. I think it is fair to assume Gould was testing Morton’s alleged bias by analyzing Morton’s measurements in the context of Morton’s racial assumptions, using the very racial categories as understood by Morton. It is nice to know that you are well informed enough to catch those omissions. I’m re-tooling my site and hope to post more short essays in the fall. I mostly agree with Kaplan. As I see it Weisberg is saying that Gould’s argument is sound even if Gould was mistaken about the many of facts about Morton. But as I see it, if your philosophy is based on a fictionalized version of history, what that heck good is philosophy? That may be an questions for great minds than mine. I would disagree that we should simply say Gould never claimed to have seen the skulls because he did not put it in print. In many papers (see Kitcher, etc) authors who were associates of Gould claimed he measured them, and at no point did Gould correct them. As a scientist, he should have wanted his work to NOT be misrepresented, but he let that happen. Either he was not diligent (which suggests an issue of competence) or he he was trying to mislead people. Am I off base with this? What I think Gould did which WAS unethical was to claim that he [Gould] had discovered evidence of unconscious racism in the otherwise objective work of Morton. If Gould have bothered to look into the primary source documents, he would have found that Morton was an overt bigot whose research was far from objective. By way of metaphor, Gould claimed to have, through his own insight, detected a wiff of bad odor in a basket of fresh eggs, when in fact all the eggs were rotten and child of four could smell them mile a way. There really was no big story to tell about Morton, but Gould marketed that way. That was (in gross terms) what Lewis said, albeit with a certain lack of diplomacy. Gould really screwed up when it came to Morton because Gould did not did his homework and he was surrounded by yes men who didn’t edit him. I fear that the more I examine Gould’s poorly research evaluation of Morton (and grossly uniformed evaluation of Blumenbach and Franklin) my conclusion is: When you exaggerate as a popular writer, that can be forgiven as poetic license, but when you do that – and then call yourself a scientist – then you’re really more of a liar. I think Gould was a seriously messed up guy to lied to himself and would say anything for fame. The crazy part was, Morton was like that too. FYI your site has been very helpful to me! Hello John, thank you very much for the reply and kind words. I’m glad Lewis’ paper has spurred you to get back into the Morton controversy. It’s been an interesting debate to read. Maybe someone reading this might assume Gould re-measured the skulls. How, I don’t know. But to me it is readily apparent that Gould is examining the raw published data. Still, as long as the reader is following Gould’s train of thought, and the logical structure of his argument, I don’t know how they can make this mistake. Gould’s inference of unconscious bias was made explicitly by comparing the data from Morton’s initial seed measurements to his later shot measurements. As long as you trust Morton’s shot measurements, as “objective, accurate, and repeatable” (cf. Gould, 1981, 65), then re-measuring the skulls adds nothing to the argument, and literally makes no sense. Here is my response, in a rough form, (and it’s a bit of a rant… but there’s just so much that smells fishy about Gould’s work). Hopefully, some of this will make sense to you. I should also note that I would dearly like to update my essays on Gould and Morton based on additional information I have found, but alas life and work gets in the way. To me, it seems that Gould’s scenario is far too complex. Gould is claiming that after just two weeks of reading Morton’s papers, Gould was able to understand Morton’s unconscious mind. Do you really accept that Gould had such ability? To me, a simpler scenario is that Morton was a bigot who lied. Recall that in “Ontogeny and Phylogeny,” Gould claimed that van Bear was an objectivist whose work was stained by unconscious bias. In this respect, Gould may have been right. Gould then makes the same claim against Morton even though Morton’s bias was overt. Gould then makes this same claim against Blumenbach, which was totally unjustified. I see a pattern with Gould where he reaches the same conclusion regardless of the evidence, without using much in the way of citations to back up his claim. My assertion is that in 1988, I proved that Morton did have the ability to measure skulls correctly, with shot. Did Morton’s bias suddenly disappear after be bought shot to replace the seed? If Morton’s bias was a strong as Gould claimed, where did it go? I would say that Gould’s assumption is no more or less valid than mine. I claim that since we know that Morton measured accurately with shot, we should assumed he measured just as well with seed… and then just ignored his results and, in effect, lied. It this argument unsound? Keep in mind that Morton was not an objectivist in the modern sense, and never claimed to be. For him, measurement was but one tool, along with Biblical revelation and his own expertise (read ‘opinion’). Morton was not compelled to accept his measurements like a modern objective scientist. And because his clearly and honestly held belief was that West Africans had small skulls, he simply lowered the average number for them. I will also add that Morton’s letters to Combe reveal the name of his assistant, so we know that Morton did not measure the skulls with seed by himself. Now if I knew that Gould had read these letters, or spent more than a few weeks on the project, I wouldn’t be so suspicious. But given all I know about Gould’s poor documentation (which I think we can agree Lewis aptly revealed), I feel it is more cautious to assume that Gould forced the Morton narrative into the same template as Gould used on von Baer and Blumenbach. I will admit that my argument is fundamentally no better than Gould’s. Neither one of us has sufficient evidence. But what I see in Gould, as a person, is a repeated effort to take antiquated historians and force them into a narrative, drawn from postmodernism, Stocking’s interpretation of Victorian anthropology, and the notion that in history “society is all”. By saying this, I suspect I’m guilty of making an ad hominin attack on Gould. But if we were in a court of law, and I was able to show that a witness had a habit of making similar exaggerated claims, the jury might discard his testimony. Would they not? I should also note that you make a good point when you say, “Maybe I have been mistaken for so many years, but doesn’t confirmation bias fall within the purview of unconscious bias? If it was conscious it would be called something like “tendentiousness,” or simply “bias.”” I have always assumed the Gould’s use of “unconscious bias” was in the postmodern sense, following Foucault, which I see as being a bias that seeps into an individual mind from the surrounding culture. Maybe I’m wrong on that. You make another good point when you say, “You also maintain—uncharitably I think—that Gould bears responsibility for the fact some authors believed he personally re-measured Morton’s skull collection. You are quick to assume that he “let that happen,” he was not “diligent” or “competent” and in fact wanted to “mislead people.” But did he? Are we even certain he read drafts of their work prior to publication, or even after? Did he send correspondence to these authors and correct them? Have the Stanford archives been examined to verify this hypothesis? Do we know that Gould never corrected their error in person or by telephone? I don’t know. There are many assumptions here.” INDEED THERE ARE! I think you raise an important overarching point. My assumptions should not be accepted. But I think you may agree that when Gould made assumptions, they were accepted. He was a snail paleo-biologist. If a historian or physical anthropologist wrote book about snail biology, no one would accept it. Why did people accept Gould’s version of history? Why him? What made Gould a paramount authority? Also, you note that “ But to me it is readily apparent that Gould is examining the raw published data.” To this I would say…. You are a really, really smart guy who knows the culture of academia. You speak the language, but most folks don’t. Gould’s great talent was being able to speak “science talk” and “popular writer talk.” Although it makes no logical since that people would infer that Gould re-measured the skulls, it still happened and quite often. How did that occur? I think that’s an important question to be answered in this discussion. If I am being too hard on Gould, and he is not responsible for that common misperception, then who is responsible? It did indeed happen, but how? I’m open to any explanation, but if not Gould… who? Reading your comments is inspiring me to think about this more (and to stay up way too late! ).